Anyone else find it hard to get excited about cleansers? Of course you need them, but in the end all they really do is clean yo' face, and as long as they clean said face, and don't completely dry it out, it's all dandy. That said, every now and then I do find myself a enamored with a particular cleanser... you know how it is. 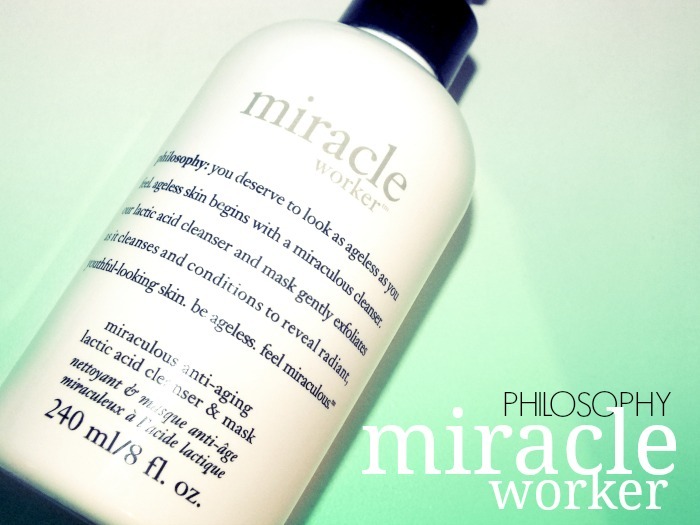 Lately, it's the Philosophy Miracle Worker Miraculous Anti-Aging Lactic Acid Cleanser & Mask that's gold a hold of my skincare loving heart. You might know that I'm a bit of a sucker for anything claiming to brighten. My skin gets dull easily, and as such does best when it gets regular exfoliation. Hello, lactic acid! 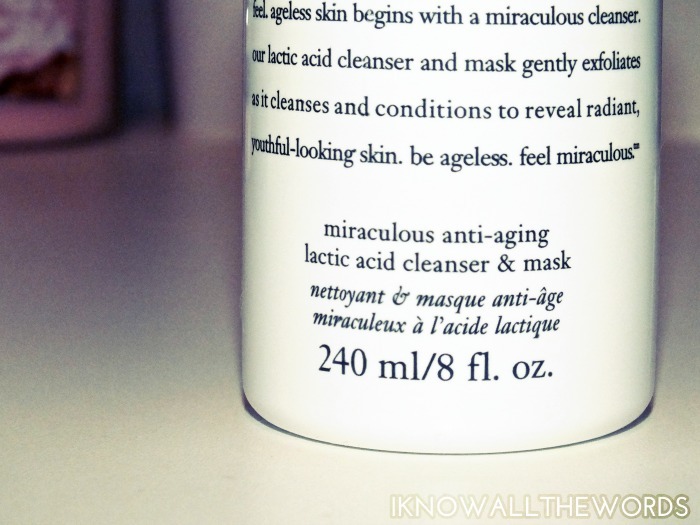 Lactic acid is a common ingredient in chemical exfoliators, and works as the main exfoliating agent in this cleanser/mask duo. The effect is subtle when used as a mask, almost too subtle for me, but would be a great option for those with sensitive skin. This shines brightest (happy accident pun wise!) when used as cleanser though. 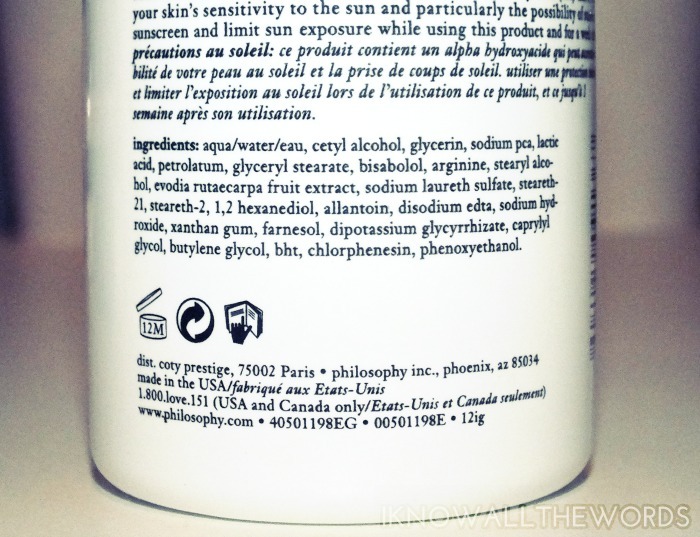 Over continued use, I found my skin did look brighter, more even and felt smoother. The cleanser is very gentle, and doesn't really lather- it's free of parabens, sulfates, and phthalates- but cleanses skin thoroughly without leaving it dry or stripped. 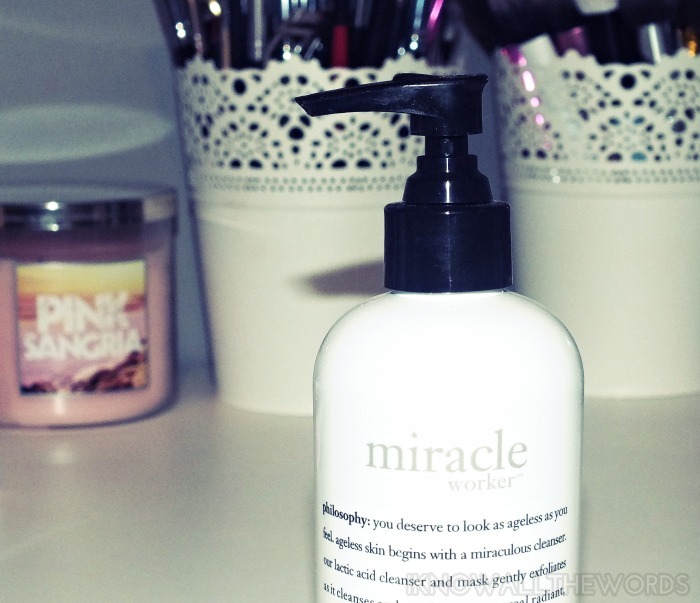 Overall, this is a great cleanser! I didn't expect to enjoy it as much as I have. Have you tried any great cleansers? Tried this one? Thoughts?